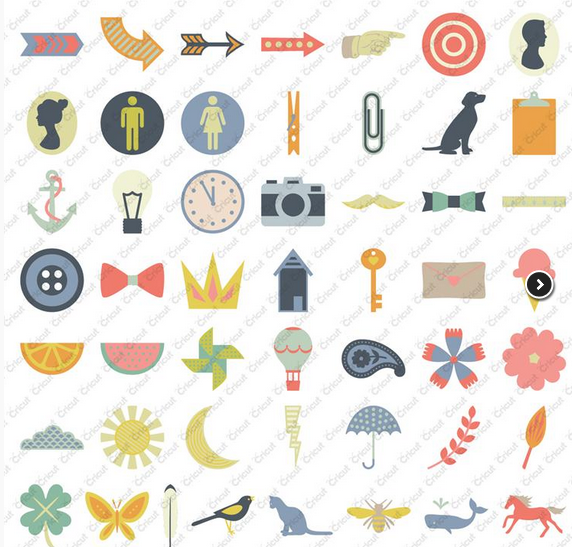 Obsessed with Scrapbooking: [Video]Cricut Explore-How to Write and Cut! 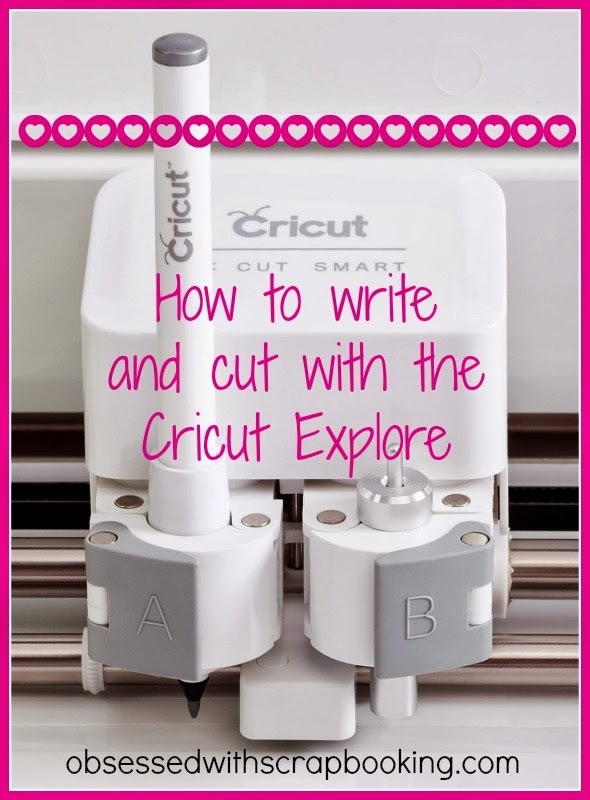 [Video]Cricut Explore-How to Write and Cut! 1) Leave a comment below - Weekend plans? I plan on spending it in the craft room making things! Thanks for posting the video! Sadly, I have no plans for the weekend other than cleaning. Thank you for all the videos! I get my on Friday and I can't wait to test it out this weekend! Thank you for all the videos and tutorials. I enjoy them. No plans just work on cards and art projects. I loved the video! I so appreciate all you do to make our crafting easier! Super excited about the writing feature!!!! Cutting firewood....blech!!! I would love to win this new cartridge. Cricut explore does not float my boat. It reminds me of buying my first SLR camera and my friend said to get one that is not automatic so you can control settings and you learn more. ;same for cricut when I decide the settings and the machine does not do it all. Besides I own the original SIlhouette; expressions and create machine along with the gypsy. I am retired and cannot see shelling out 299.00 for yet another machine. When I create I want to create; not a robotic type machine. And the party themes from Anna Griffin did not seem practical. How many party theme projects are popping up on ebay dirt cheap. This is awesome! Loving the Cricut Explore more and more video by video.. Can't wait to get mine ! Thanks for such awesome tutorials ! This weekend I hope to work in my craft room to get some projects done before I my new cricut comes in and all I will be doing is playing with that !! Great video! Going to a Mardi Gras Ball tonight and Saturday I am going to the Greyhound Races in Alabama. Very cute cards. I hope to spend time organizing paperwork and during breaks doing some crafting. great video, the more I see them the more I want an Explore, must keep hinting to hubby for my b'day!!! Weekend plans? Grocery shopping then doing some repainting in our apartment, may as well do it now before spring arrives as we'll want to be out enjoying it! Thanks for the video! I'm enjoying learning more about the Explore. I don't have any specific plans for the weekend. I also hope to get some crafting done. I have several projects in process, and I need to get them finished so I can move on to the next thing. My weekend plans are up in the air till I go see the Dr. this afternoon. I had a heel spur removed last week and am wearing a "boot". Too hard to go up and down stairs where my craft room is. Would love to go down and make some cards. I really need to work on LO's for my daughter's high school album - I just ordered a load of prints and I need to get it done so I can move on to other more fun projects! Love the video! I want to learn all I can before it arrives! It is our anniversary today but he has to work next 3 days so hoping Sunday we can enjoy the day together. Would love to win! Thanks for another great video. It is so cool to see the machine in action! Although...I noticed that you have a line going through the "u" in the "you" of your written "thank you"...it doesn't look like that in the handbook...a glitch in the software maybe? Check it out before you do a whole bunch that way! Joy, my heart is racing! I am so excited and thanks for adding to the excitement with your video. I'm having friends over this weekend, and we are making a book from CTMH Artbooking and the card in the box! I have to remember to breathe as I stalk the delivery! great video. I think I have one of my machines sold, onr dtef closer to thr rXPLORE. Thanks for showing so many neat things this new machine dose. cant wait to try it out. I am new to your website & love your educational postings! My Cricut Explorer is on its way. Can't wait to get started. Thanks! Pam from Stone City, IA. Although I am no longer a cricut person (my new Cameo was delivered on Saturday-Yeah! and it was so easy to use out of the box!) I can see how exciting the Explore could be. I am reserving judgement from my past history with Provocraft. Good luck with it! 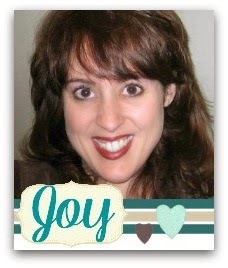 And, as ALWAYS, Joy, you make me smile! Thank you! Thank you so much Joy for making it look easy. This weekend I will be working on a wedding that take's place in April. Love seeing the Explore in action--thanks for showing us! And the cards are so cute! Weekend plans? Being jealous of the fact that you guys will be crafting while I'm writing a paper that's due Sunday! But I'm storing up craft ideas for Spring Break--can't wait! Weekend plans include getting a start on my daughter's graduation announcements, thank you cards, party decorations. You get the idea. Also need to make birthday cards for a dear elderly lady I know. Love your blog. Not planning to do much this weekend. I will probably have to do some cleaning. Boo. No plans other than recovering from intense dental work. Good reason to watch more You Tube videos, right? Thanks for the videos. Now I know I really want one of these new machines. Thank you for another great video! I am going to be learning how to operate my new heat press this weekend. Hoping to make some t-shirts for the kids. Thanks for the video. I have an anniversary party this weekend, then maybe work on my scrapbook. Thanks for the great videos. I think they will allow me to hit the ground running when my Explore arrives. My weekend plans include helping my niece move. Not to crafty. Maybe I won't be too tried to play in the evening. Looks amazing! This weekend, my husband is taking my daughter to a daddy-daughter dance, so I'll take my son out too! Or we'll do whatever he wants to do...he's 14, so we may just order takeout and watch the Olympics - which is one of our favorite things to do right now! My husband is home recovering from open-heart surgery, so our only outing will be to church on Sunday. It would be great if I could squeeze out some time to craft! Thanks for the chance to win a great cart. I'm so excited to see all the things made with your new cricut. I'm going to a comedy play with hubby on Friday evening, then probably some cleaning on Saturday, church Sunday AM, with hopefully some scrapbooking on Sunday afternoon. I'll also try to squeeze in some exercising. I don't believe that I have ever seen a lightning bolt in a Cricut Cartridge. Looks like a fun one to use for spring- April Showers, Bring May Flowers card. Nothing planned this weekend just relaxing and maybe getting on to the caftroom and getting some cards designed. I can't think of anything I want to see with the new cricut . . . it might make me want one and I don't need another machine! Another great video thanks so much! I hope to play in my craft room this weekend and make as many of the projects on my list that I can get done. This weekend will be spent continuing to organize my craft room and finishing up some layouts that i started in January. woot woot! This weekend, I am attending a 2-day 13-hours each day scrap/crop retreat here in Honolulu where we will be fed 3 meals and snacks, have 2 classes, and gifts each day! Twice-a-year event that I always anticipate meeting friends, learning new techniques, and buying from vendors and other crafters. That'$ dangerou$! This weekend is being spent crafting for a twins shower for my niece. She's having a boy and a girl! We are doing a little lambs theme. Thanks for all your hard work, Joy! Thanks for this was not sure how to do the print and cut to make sure it lined up and first try it did not, but showing you have to attach made it work THANKS!!! Thanks Joy for the video...I wish there were more videos out there for the Explore. I just got my machine a couple days ago and need some specific instructions on the software....for instance you took the score line out, but I didn't really see how that was done on your video and I need to do that. I'm making rosettes and it cut all the score lines as well as the outside lines which of course I don't want it to do...been doing searches online, but no one is showing how to remove score lines. I am new to blogging. I would love to win this cartridge. 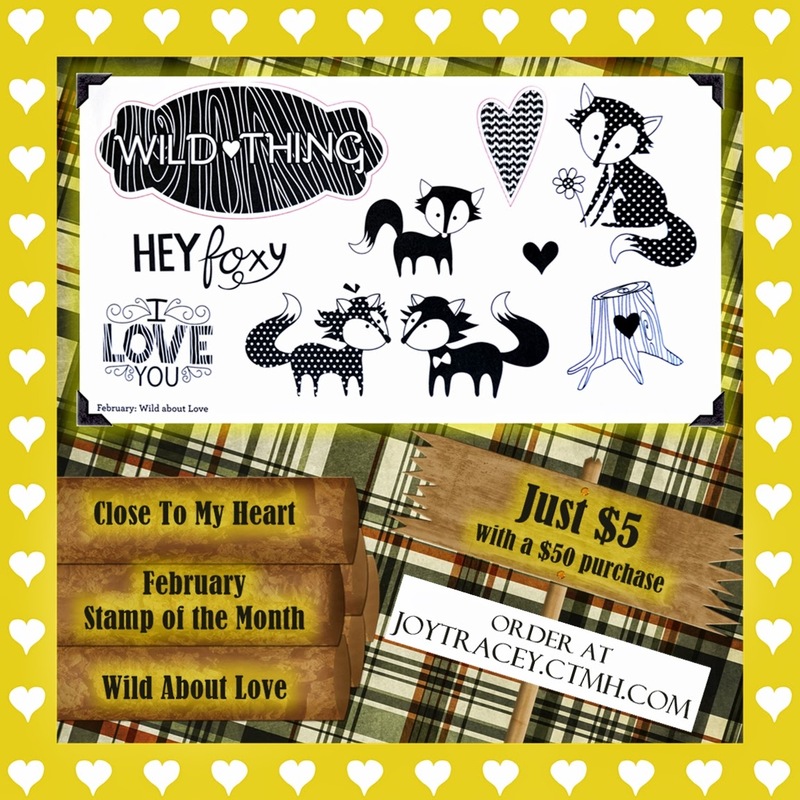 I will be playing this coming weekend with my new cricut explore. Donna in auburndale, florida. Thank you for your great tips and projects.